It has been said that the last series of Top Gear was defeated by being scheduled against important Euro 2016 fixtures. Whoever scheduled BBC FOUR’s Trainspotting Live is a genius. I have just watched what ought to have been three hours of the most flawed television – and I loved it. The central premise of Trainspotting Live doesn’t make sense. The term ‘trainspotting’ is quite precise and is about spotting a train, in person. Sharing a spot via a photo, or on social media is not the same thing at all. The interactive bit involved stopping watching TV, going down to your nearest station and taking a pic of whatever was going past (as long as it was consistent with the day’s theme). These would then be added in a lo-fi way to a map on an easel. The value of that map is unclear. There were some quite engaging bits where we cut away to intrepid spotters in different parts of the country. Their enthusiasm was immense: ‘here’s a class 66! Woohoo!’ Sometimes the ‘Woohoo’ might be justified, as when we saw the new Hitachi train that will replace the old High Speed Trains on the Great Western main line, but at other times it seemed quite incongruous. Surely the point of one of these ‘live’ shows is to collectively discover things, so that we know something more than we would otherwise have known? And yet the railways run to a timetable. If you want to know what time the mail train goes through Crewe, the quick thing is to search on the internet, rather than hang around on the platform. I am not sure what we learned by finding out that a class 508 had been found on Merseyside. That is where we would expect it to be. And yet somehow the programme was perfect. Perhaps it was the scheduling: we have had enough of rolling news and live coverage of things that are actually happening and changing. Nothing would change as a result of Trainspotting Live. Snow and Fry are an excellent double act and worked well with the experts and hobbyists. Snow in particular worked the maps like a boss and you felt that at any minute he would rip the arm from a semaphore signal and use it as a makeshift swingometer. The features were fun. There was no analysis of rail privatisation, no mention of Beeching, no politician to strike a sour note. The programme was relentlessly positive about the railways and indeed portrayed them as a national asset rather then a fragmented industry. There were messages about safety but they weren’t intrusive. Despite the odd ‘it’s not the same since the end of steam’ and the ‘studio’ setting of a railway museum, the programmes celebrated the present and future as positively as they presented the past. I am not sure whether the stars were the trains themselves, or the enthusiasts, who came across as passionate and charming and not the oddballs that they are sometimes made out to be. Perhaps that was the point. Nice people engaging with something they find nice. Real people showing why the object of interest was worthy of it. A celebration of the everyday. 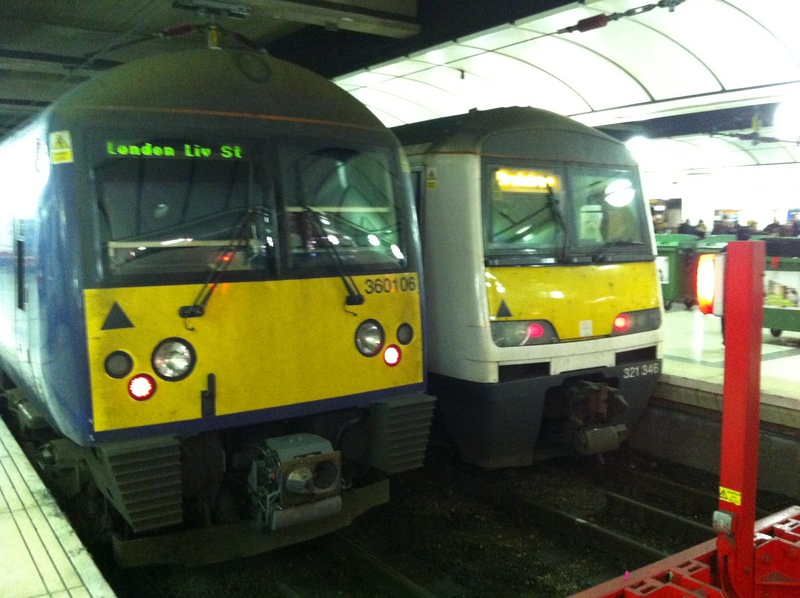 Perhaps you don’t need to know the difference between a class 321 and a 360 after all*. What a way to make a great television programme. I wasn’t surprised to learn that Trainspotting Live comes from the same stable as Amazing Spaces – another programme that lives on the cusp between the extraordinary and the ordinary. Good work Plum Pictures. *Just kidding. You really do need to know this stuff. I promise you. 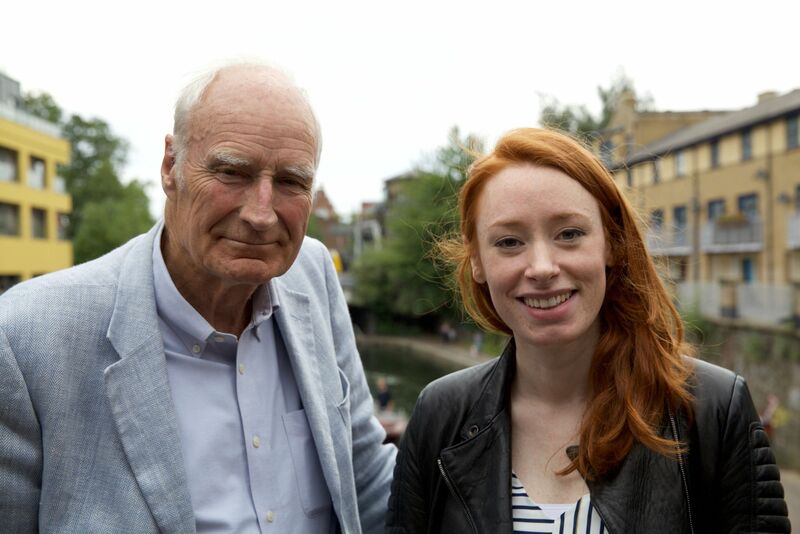 This entry was posted on 14 July 2016 by Cafe thinking in Railways, Reviews, TV, Uncategorized, Writing and tagged British railways, Hannah Fry, Peter Snow, Transporting Live.